After a workout that requires all your physical strength you need to recover in a top that knows just where to hug you. 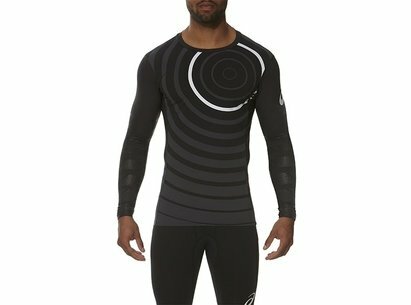 This long sleeve, high performance recovery top for men features a compression fit and graduated compression panels on the arms creating different compression values from the wrist to the shoulder, helping your muscles cool down and recover after an intense workout session. ASICS MotionDry technology keeps you dry by wicking sweat away from your skin while full mesh back and side panels allow for optimal ventilation. Additional comfort comes in the form of a slightly extended rear hem.